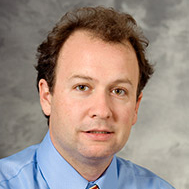 Dr. Gregory Rice earned his medical degree from the University of Wisconsin School of Medicine and Public Health (formerly UW Medical School), Madison, WI, and completed his residency and a fellowship at University of Wisconsin Hospital and Clinics. Hess AS, Rice GM, Jochman JD, Muldowney BL. (2018). Volatile anesthesia for a pediatric patient with very long-chain acyl-coenzyme A dehydrogenase deficiency: A case report. Paediatric Anaesthesia, 28(3):296-297. doi: 10.1111/pan.13314. Hendee K, Wang LW, Reis LM, Rice GM, Apte SS, Semina EV. (2017). Identification and functional analysis of an ADAMTSL1 variant associated with a complex phenotype including congenital glaucoma, craniofacial, and other systemic features in a three-generation human pedigree. Human Mutation, 38(11):1485-1490. doi: 10.1002/humu.23299. Reynolds KK, Juusola J, Rice GM, Giampietro PF. (2017). Prenatal presentation of Mabry syndrome with congenital diaphragmatic hernia and phenotypic overlap with Fryns syndrome. American Journal of Medical Genetics Part A, 173(10):2776-2781. doi: 10.1002/ajmg.a.38379. Stroup BM, Held PK, Williams P, Clayton MK, Murali SG, Rice GM, Ney DM. (2016). Clinical relevance of the discrepancy in phenylalanine concentrations analyzed using tandem mass spectrometry compared with ion-exchange chromatography in phenylketonuria. Molecular Genetics and Metabolism Reports, 16;6:21-6. doi: 10.1016/j.ymgmr.2016.01.001. Rice GM, Steiner RD. (2016). Inborn Errors of Metabolism (Metabolic Disorders). Pediatric Reviews, 37(1):3-15; quiz 16-7, 47. doi: 10.1542/pir.2014-0122.